Every time I go to the whirl island#3 the monk says he will let me through if I have the silver wing and I don't know where to find it. Hi can anyone help me by giving me directions through whirl islands co.. Does anyone have a site where it has the whirl island map? I can't navigate through whirl island. People always put jump off a le.. I really want a Mew, how can I get Mew on heart gold or soul silver? I..
how do you get the silver wing? And can you catch Lugia an ultra .. According to what it says in the strategy guide you get the silver wing from the director at radio tower opening. The Silver Wing is given to you when you defeat Team Rocket at the Goldenrod City Radio Tower. The Radio Tower's Manager will give you the Silver Wing after you defeat Archer. After defeating Clair and receiving the Rising Badge Professor Elm Will call you. He has the Master Ball which means you need to go back to New Bark Town and talk to him. To receive it. Excuse me, but you seem to be wrong. To my knowledge, the lighthouse has nothing to do with the Silver Wing. you have to get pass the lighthouse in olivine city and someone will give you a silver wing. Did you play the game, or look it up on wikipedia. Did you know, anyone can write on wikipedia?? On soul silver, u get it after u beat the guy taking over the radio tower. i think at least. You have to defeat Archer, boss of Team Rocket, at the top of the Radio Tower in Goldenrod City. Then the Director will come up and give you the Silver Wing. defit team rocket in golden city and then someone will give you the silver wing!!!!!!!!!!!!!!! U get it after you beat that team rocket member in the radio tower.MASTERBALL you get it after you defeet clair visit the dragon dean and when you come out profes.elm will give it to you.go catch lugia. 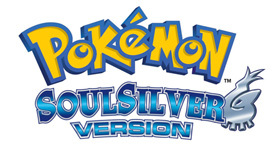 Search for more answers for Pokemon Soul Silver or ask your own question here. Directions through whirl islands Hi can anyone help m.. Does anyone have a site where it has the whirl island..
where do you find the dowsing machine? where do you g..
How do you get all the legendary Pokemon in soul silv..
Unlock Secret Box Wallpapers and Pok..